Hey guys we are giving away 100 ( equivalent to 1 month premium status. ) Trackbase points to 1 selected random user. If you would like a chance to win, comment below on what you'd like to see added to trackbase! Winner will be annouced on 4-26-2015. So what can I do with my points? For every 1 point you spend your banner will receive 250 views. What are the benefits of premiumship? More slots for your buddylist! More slots for your favorite servers! You can reserve more names! Access to the Trackbase Premium board - a secret place on the forums for you premium guys! More Albums to create and more Pictures to upload! ET is about teamplay and going for the objective, imho. broadcast/live streams section or feature? http://et.trackbase.net/maplist/ maplist for ET you can click on the maps and there is a download button on the left side. Sorry but, nope I saw the post on ET/FC and CoD, so I suggest that you talk about all TB sites, and not only ET. Disallow all fake servers that only redirect to WF, FA, RC, etc and remove their official server from the list as punishment for as long as they've been using fake servers. They gain free promotion by abusing the master list. Clan Management: Fix the TS3 server linking. It's never worked as long as I can remember. The way it says to do it is wrong as far as TS, but no matter if you do it that way or the new (changed) way it doesn't work as a link to connect. It only shows as plain text. 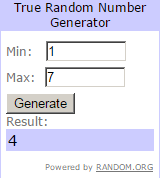 Grats to [NNC]Krieger for winning (rolled at random.org ) Your points will be active on your account with in the next 24 hours. edit: points have been delivered. Last edited by DRi*VJ*; 27-04-2015 at 15:37. What will the Points bring me? Even only Advertisement. Thanks everyone for sharing your opinion on what you think could be done better. Congratulations Krieger, you won our price. You can make best use of it just here: http://cms.trackbase.net/?mod=shop or even here: http://cms.trackbase.net/?mod=advertise. Feel free to continue giving us feedback about living bugs and things we might do better. We live from your opinion! @sneak: Thanks for your detailed reply, you'll get some bonus for that I actually have thought of some of your ideas already and like them a lot. We'll for sure be working on that and try our best to introduce new things and fix old bugs as often and as fast as possible.